Here are some of the crewing posts for May posted by Lovesail members. If you are interested in any of them then please log into your account at Lovesail. If you are not a member yet, then visit our home page, Lovesail.com, and have look. July 21 – July 25 Considering this event en route to the Plymouth one. This one having the added incentive of being close to home with shore leave each evening! 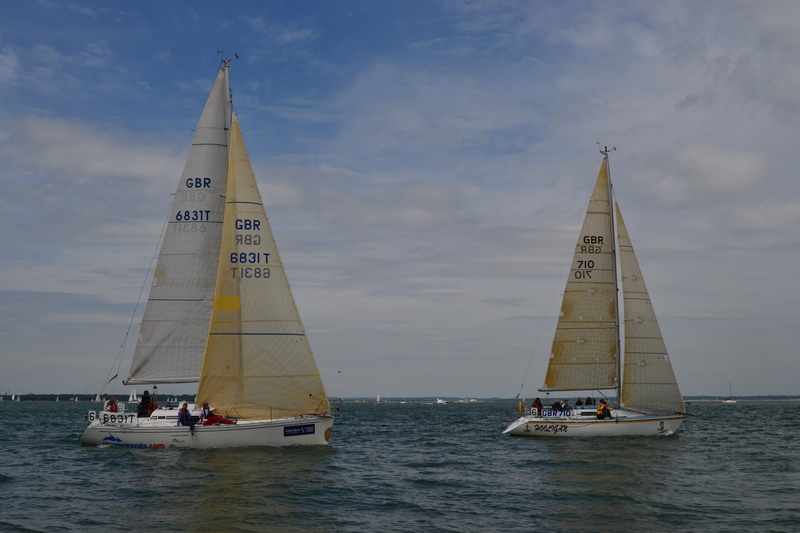 A great chance to mix and match among other crews in the Cowes sailing scene. The racing will be keen and we can bring up the rear of the fleet, somebody has to, with two other Nic 36′ entered. Novices welcome, and though best to have a crew for the week, can offer hop on and hop off bunks! Not all the owners are as old as their boats. Any questions please ask. Thank you Flushing. In August, me and my friend are going to have a Greek islands trip with my sailboat. start from Turkey and end in Turkey for a month. Route will be Marmaris, Rhodes, Symi, Datça, Kos, Kalymnos, Leros, Amorgos, Naxos, Mykonos, Paros, Ios, Thira, Anafi, Astypalaia, Nisyros, Tilos, Rhodes, Marmaris. If anyone who would like to come with us as crew or friend make us happy. Hi there, I’m looking for people to join me on a Bavaria 42 sailing/motoring around the Northern Ionian, Greek islands starting from Corfu 7 nights commencing14th July. You book your own flights and pay for your own food / personal spending. Berth on board at no cost to you. Male or female crew but prefer no couples. 3 double cabins plus saloon for up to 7 people. Sailing experience a bonus but not as essential as a great attitude! Sailing a small boat from England, to france and Spain. Listed amongst the crewing posts for May was this little trip, not sailing but I wanted to include it as most sailors have a travel lust even without a boat! I’m going as an interpreter for TVAM and unexpectedly have a space for someone to join me for a trip through the Picos de Europa through to Galicia from 9th-22nd September. Total cost about £350 for two weeks of steady, safe riding in some of the most spectacular countryside in Europe, including the ferry to and from Santander, a week of B&B in a lovely mountain hotel, and the second week in a lovely seaside apartment in Ortigueira. Payment due at the end of June. Any takers? Here a just a few of the latest crewing posts to appear on Lovesail from some of the members. My boat is currently laying in Preveza, Greece and I plan to sail around the Peloponnese into the Aegean and mooch my way across to Turkey. I may over winter in Turkey or depending on crewing situation I may take the boat to Spain. I am looking for crew who can commit to more than the usual couple of weeks as I don’t want to find myself chasing airports. The boat is a Dufour 425 which I sailed from the UK in 2010. Feel free to contact me for further information. The summer of 2014 I will be cruising from Seattle to Desolation Sound and beyond in my Catalina 34, “Last Hurrahh!!”. Seeking female crew for part or all of July to October. Sailing experience would be nice, but I am a good teacher and have loads of patience. The boat has many creature comforts and is a two cabin layout. Let’s connect, converse and possibly meet to test the waters first. Intend to follow the meanderings of the Dulcibella in The Riddle of the Sands May thro to July without someone trying to kill me! Whilst in the Baltic I want to have a squint at Copenhagen and Malmo. Looking for crew for whole or part of trip. Must be capable of not falling over the side and enjoying the trip – simple! I’d like to enter the race from Scarborough to Ijmuiden leaving Scarborough on 18th July and probably returning to the UK a week later. I’ve a Contest 43 and I’d like 3 volunteers, preferably female, to help crew the boat. Email me if you’re interested or would like more details. If any of the latest crewing posts appeal to you then just log into your Lovesail account and visit the crewing page. If you are not a member of Lovesail yet then please visit us at lovesail.com. 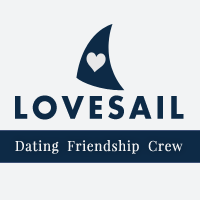 Lovesail is an on-line site for dating, friendships and crew. All our members are passionate about sailing and want to meet others in the same boat! Here are just some of the Crewing Opportunities February from the Lovesail site. I am available and would love to join you in Croatia for island sailing Sep 29 to Oct 19. I am a mature Canadian woman with 10 years sailing experience on great lakes – looking to experience blue water cruising. Great cook, and superb interpersonal skills. CYA & CPS. Look forward to hearing from you – thank you. 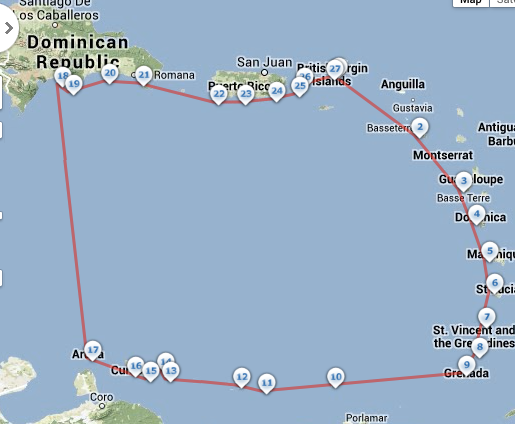 Currently sailing Sanctuary (52’Cat) in the Raja Ampat area of Indonesia, then on to Darwin, Australia or Borneo. Join in the cruising for weeks and/or passage through the magical islands! 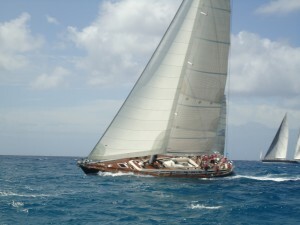 Lovesail.com is an on-line dating, social networking and crewing site for sailing enthusiasts. Those with a passion for sailing come on the site to meet for social events, sailing trips, crewing opportunities and dating. We are a friendly and fun site with members from all walks of life and with different sailing experiences. Join us today to meet new sailing friends, find crewing opportunities or that special someone that can share your passion for sailing. Here are just some of the crewing opportunities posted in January on our crewing section of the site, both wanted and offered. If you would like to view them in more details just log into the site at Lovesail.com at visit the Crewing Section. Looking for crew for the 11 legs to the other side of the world. Sailing on a newish Beneteau 57 fully equipped for lots of gentle adventures ahead. Hi, I’ve just bought a 30′ yacht and would like at least 1/2 crew for weekend sails from Brighton and back if anyone is interested?? Let me know through the site. I am lookng to crew. I have done 2500-3000 miles delivering boats with a skipper and have sailed parts of the Med and the Windward Islands plus down to Portugal from N.Spain a few times plus club racing in Essex on the Thames. Looking for a lady deckhand to join me cruising down the Spanish West Coat to Canary Islands via Portugal and Morocco or part thereof. No experience is needed if you are willing to learn. Setting sail from Sardinia in February. ETA in Canary Island in November. Misty Too is 40 foot ketch – Amel Sharki with two separate comfortable cabins. I live in Cape Town and have a 45′ Roberts blue water cruiser. Keen to do the South Atlantic route next year 2014 leaving Cape Town and going up the west coast to Namibia then across to ST Helena and Ascencion before heading for Brazil. Then down the coast to Uruguay and Argentina etc. Read my blog for more details. Here are some of the latest crewing posts from the Lovesail Crewing Section. We are not just a dating and friendship site. Members of Lovesail can post non-professional crewing opportunities on the site for fellow members’ interest. Hi there shipmates, I am hoping to join a boat sailing clock wise around the Uk on the south coast to Scotland leg if anyone out there needs crew? April/May/June 2014. Let me know if you need some help or know someone that does. Just a couple weeks this winter…. 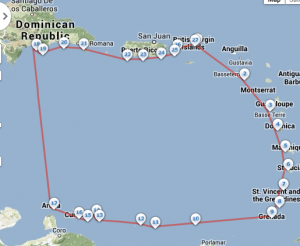 Taking my Leopard 40 Catamaran from the BVI to the ABCs and back starting July 2014 and returning November 2014. Looking for a compatible crew…drama free and easy going. A dive buddy would be nice. It is Ok to join for part or all of the trip. I have friends looking to cross the Atlantic. Currently in Tenefer headed to Cape Verde. Anyone looking for crew? Very experienced. I crossed with them last. Young couple in their twenties. Aeronautical engineer graduate. Designed and installed our solar for us before crossing. Exceptional sailor. Traveling with his girlfriend. If any of the above opportunities wet your whistle or you want to view other crewing opportunities, then log into your account at lovesail.com and visit the crewing section. If you are yet to become a member of Lovesail, then what are you waiting for?! Here are just some of the latest crewing opportunities that have been listed recently on Lovesail.com in the Crewing Section. Looking for a mate to join me on my Peterson 46 for cruising in the Bahamas this winter. My bluewater center cockpit boat has 2 cabins, 2 heads, so you can have your own space. Mature woman preferred, join me for a month or several. I’m an easy going, experienced offshore cruiser and love intelligent conversation. Will have scuba gear aboard. Female crew wanted cruising new Zealand bay of islands great barrier. Looking to serve as crew from about December 27, 2013 to January 3, 2014. ASA certified, Basic Keelboat Sailing. Female crew wanted to sail the med winter/spring rival 41 based in Cagliari,Sardinia. I’m looking to make new friends and find crew to come with me to the Northern Ionian for a week or two in 2014. I have a Bavaria 42, 4 cabin version, based in Corfu. It’s really safe sailing and great for exploring new places off the tourist route. Wind in the Northern Ionian can be great or non-existent. You have to be prepared to join in with all the jobs on board above and below decks or if there’s no wind, just relax listening to music whilst the engine takes us wherever we want to go. Experience would be great but not essential. Pay own flights then shared costs. Planning to cruise the Med in my Nicholson 38 ketch. Currently based in Cartagena marina. Thinking of cruising Balearics 2-3 wks over Xmas 2013 + New Year. Anyone interested? Ketch [pictured] was used as liveaboard previously, so comfortable [shower / holding tank etc]. Murcia airport is 30 Km from Cartagena [Ryanair]. Alicante is 100 km away. If you are interested in any of the latest crewing opportunities above or have one of your own to post then please log into Lovesail.com. If you are not a member yet then why not join to meet other sailing enthusiasts for dates, friendships or crewing opportunities. Some of the member’s crewing opportunities that have been posted in the Lovesail crewing section. I’ll be in Turkey from mid August until 28th Sept. and will have an empty boat from 7-27 Sept. I plan to cruise along the Turkish coast and possibly the Dodecanese. Along the way there will be plenty of time for exploring, swimming and fishing. Need one qualified and experienced female crew member any age but physically fit to join crew of 4. Currently 3 male one female all late fifties. Planning a weekend cruise around the Solent starting Friday 6th July till Sunday 7th July. Three places available, maximum of 4 on board. Open to all and happy to take a back seat for those that want or need the skippering experience. Planning two sailing trips in a 55 foot sailing sloop across Biscay to Spain and beyond this summer from July and also some hops across the channel in a power cat 8 m from May onwards. This is an outline schedule planned for this summer and an early bid for crew. I will happily discuss any questions and will welcome any messages of support or enquiry! I am fully expecting to be the only one to give up two months in one go, but it would be wonderful if anyone out there could join me for the two months!! More, that crew join in for individual regattas or legs as and when they are available. The delivery runs do not take many crew, but racing is best with four and a minimum of three. We can always accommodate five though and it makes it more fun to have crew. As an extra sails/sales pitch, all the events have mega shore parties and plenty of (usually male) crew to fraternise with. 6-13 July Classic X Channel Regatta (nearly 100 Classic yachts and crews). An absolutely amazing event with great organisation. This event finishes in St Peter Port and that leaves a daysail back to the Solent. 15-19 July Cruise in Company, to Brest stopping overnight each night Lesardrieux, Roscoff, Aber Benoit, Brest. Then options but expecting to turn around and head home for end of July. We do OK but are not race leaders, there are three Nic 36′ in the X Channel event and the kudos when in port of being with the Classic fleet is really amazing. We dress the yachts when in port and the town Mayors get involved etc. potentially a sailing summer of a lifetime, so if it floats your boat please get in touch. Hi I am looking for a experienced crew to help sail a 43ft Beneteau Cyclades yacht between the 20th and 29th of July, this coming July. Preferred crew young man. Please send me a message. Newly purchased 1970 Columbia 57, sailing 4 Great Lakes, Erie canal, Hudson River, Chesapeake and offshore hops to Florida. 8 weeks – Mid July to Mid September. Crew needed for part or entire trip. Windswept is a deep draft / performance sloop, ( 8 foot draft / 75 foot mast) so this is not a I.C.W. trip. Some sailing experience helpful, but need not be advanced.